1. 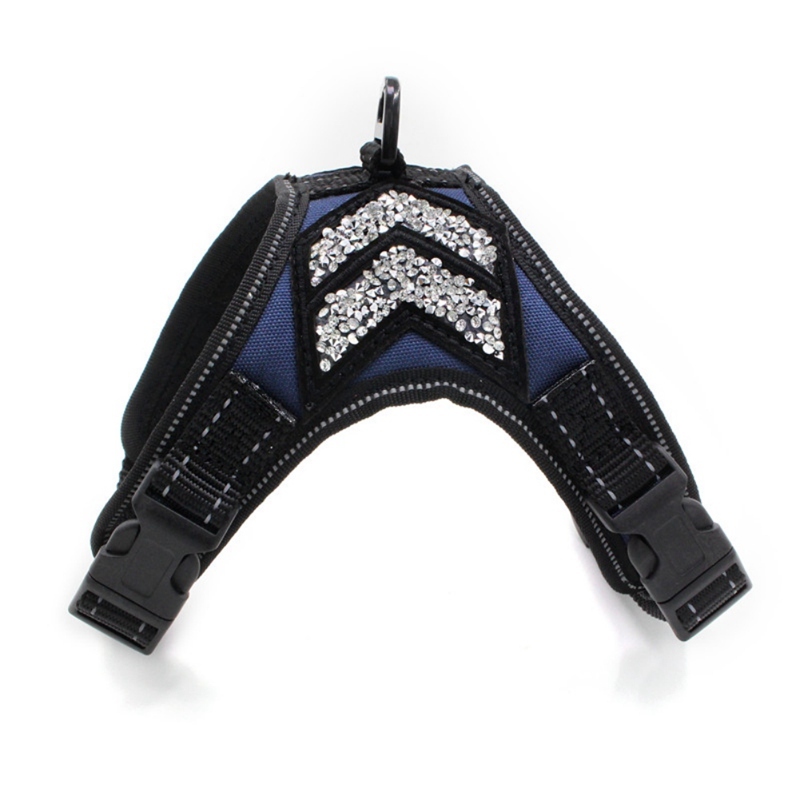 Reflective: the reflective belt has good reflective effect at night to prevent the accidents. 2. 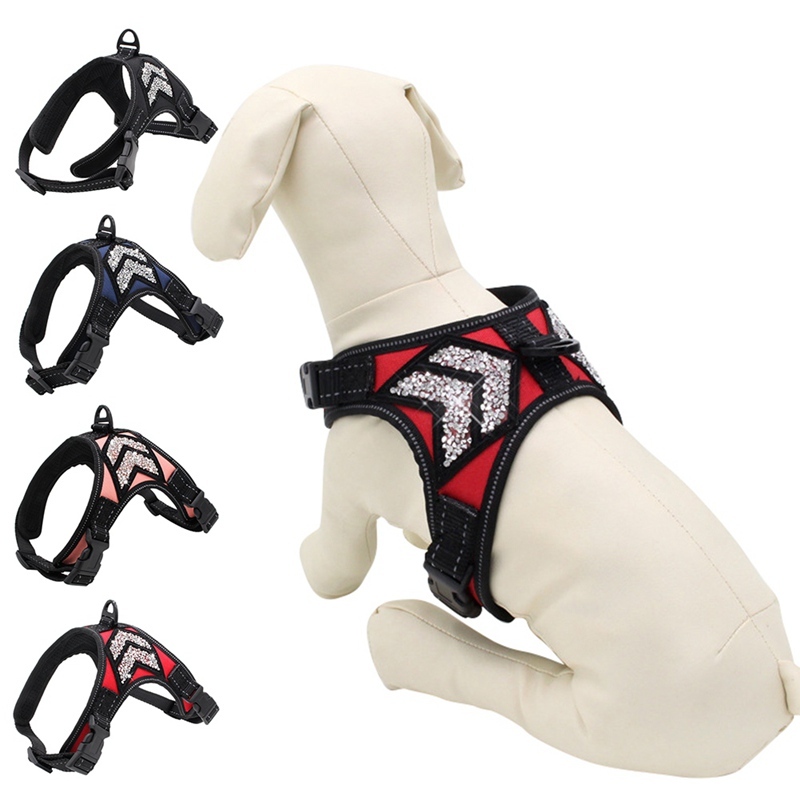 Design: it adopts the glittering rhinestone to deocrating and can make your dogs more attractive. 3. High-quality: the black hardware accessories are durable and not easy to rust, and the product has a long service life. 4. 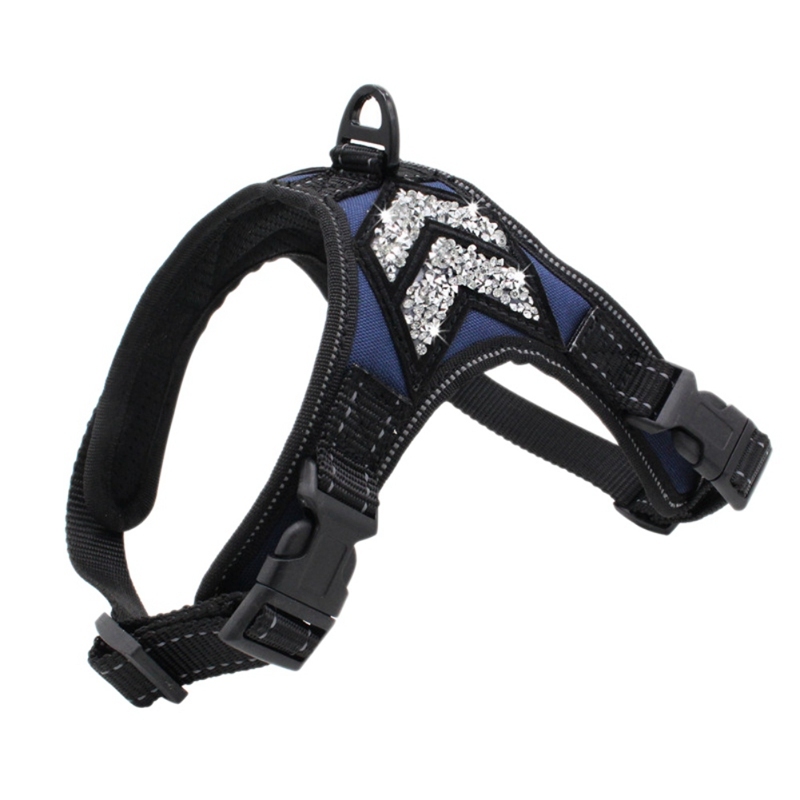 Comfort: the breathable mesh fabric has soft and comfortable texture and make dogs be willing to wear. 5. 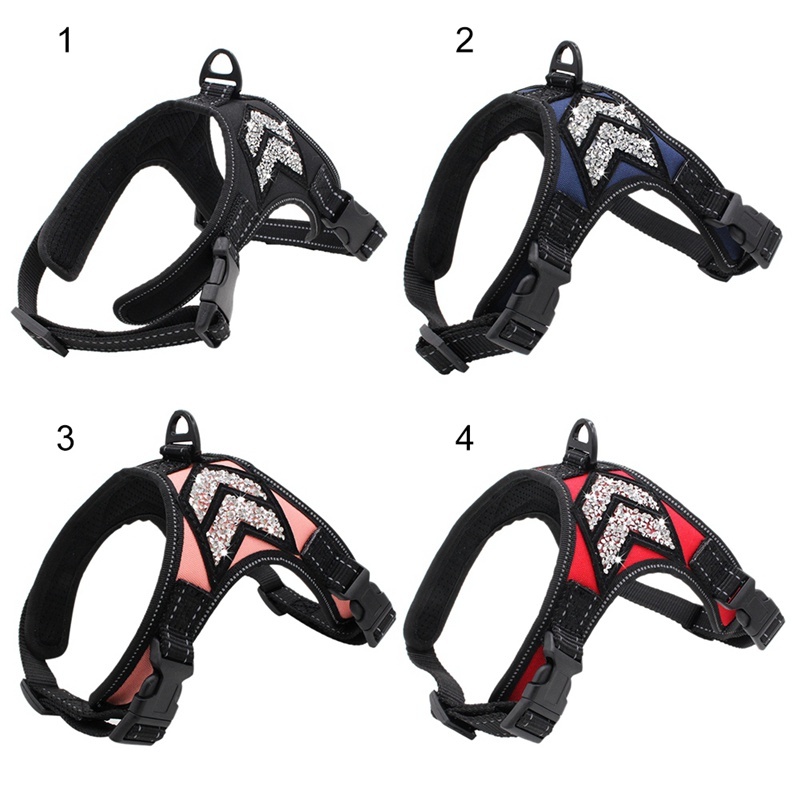 More Choices: there are four colors and enough sizes for option, and you can choose the favorite and suitable one according to the demands and hobbies.